Title: Stream Data Modeling using Possibilistic Clustering and Short-Term Urban Traffic Flow Forecasting. Data streams have arisen as a relevant topic during the last decade. In this presentation, I will introduce a non-stationary data stream clustering using a possibilistic approach. The Graded Possibilistic Clustering model offers a way to evaluate â€œoutliernessâ€‌ through a natural measure, which is computed directly from the model. Both online and batch training approaches are considered, to provide different trade-offs between stability and speed of response to changes. The proposed approach is evaluated on a synthetic data set, for which the ground truth is available. Moreover, a real-time short-term urban traffic flow forecasting application is proposed, taking into account both spatial and temporal information. To this aim, we introduce the Layered Ensemble Model, which combines Artificial Neural Networks and Graded Possibilistic Clustering models, obtaining in such a way an accurate forecaster of the traffic flow rates with outlier detection. Experimentation has been carried out on two different data sets. The former consists on real UK motorway data and the latter is obtained from simulated traffic flow on a street network in Genoa (Italy). The proposed model for short-term traffic forecasting provides promising results and given its characteristics of outlier detection, accuracy, and robustness can be fruitful integrated in traffic flow management systems, allowing the local administration to streamline the traffic and reduce traveling time. This will lead to significant energy savings, less pollution, and a better quality of life of the population. Francesco Masulli is the Chair of IEEE Italy Section Computational Intelligence Society Chapter, a Full Professor of Computer Science with the University of Genoa (Italy), an Adjunct Professor at the Center for Biotechnology of the Temple University in Philadelphia (PA, USA), and a founding partner of the innovative start-up company Vega Research Laboratories s.r.l.s. 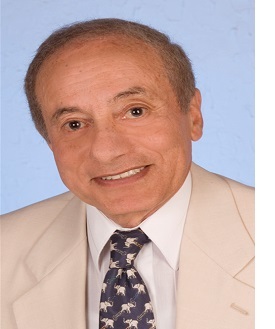 He was a visiting professor at the International Computer Science Institute in Berkeley (CA-USA) and at the I3S Labs-University of Nice Sophia-Antipolis (France). 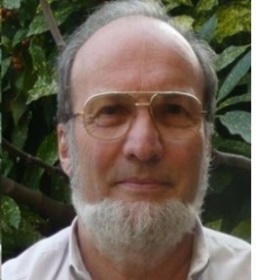 He received the 2008 Pattern Recognition Society Award and was the chair of several international conferences and Ph.D courses and author of more than 200 scientific papers in Clustering, Machine Learning, Neural Networks, Fuzzy Systems and Bioinformatics. Title: Deep Learning: Is it the Answer to Artificial Intelligence? Within the field of machine learning, deep learning approaches have resulted in state-of-the-art accuracy in visual object detection, speech recognition, and many other domains including genomics. Deep learning techniques hold the promise of emerging technologies, such as autonomous unmanned vehicles, smart cities infrastructure, personalized treatment in medicine, and cybersecurity. However, deep learning models are deterministic, and as a result are unable to understand or assess their uncertainty, a critical part of any predictive systemâ€™s output. This can have disastrous consequences, especially when the output of such models is fed into higher-level decision making procedures, such as medical diagnosis or autonomous vehicles. This talk is divided into two parts. First, we provide intuitive insights into deep learning models and show their applications in healthcare and aviation. We then introduce Bayesian deep learning to assess the modelâ€™s confidence in its prediction and show preliminary results on robustness to noise and artifacts in the data as well as resilience to adversarial attacks. Dr. Nidhal Carla Bouaynaya received the B.S. degree in Electrical and Computer Engineering from the National School of Electrical Engineering, Computer Science and Telecommunications (ENSEA), France, in 2002 along with the M.S. degree in Electrical and Computer Engineering from the Illinois Institute of Technology, Chicago, IL, in 2002, the M.S. diploma (DEA) in Signal and Image Processing from ENSEA, France, in 2003, the M.S. degree in Mathematics and the Ph.D. degree in Electrical and Computer Engineering from the University of Illinois at Chicago, Chicago, IL, in 2007. From August 2007 till August 2013, she was an Assistant then Associate Professor with the Department of Systems Engineering at the University of Arkansas at Little Rock, Little Rock, USA. 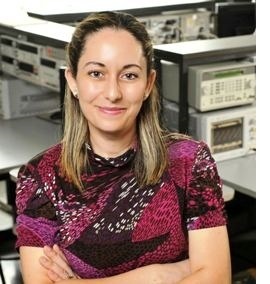 In September 2013, she joined the Department of Electrical and Computer Engineering at Rowan University, New Jersey, USA, where she is currently a Professor and Associate Dean of Research and Graduate Studies with the Henry M. Rowan College of Engineering. Her research interests are in signal, image and video processing, machine learning and optimization. Dr. Bouaynaya won the Best Student Paper Award at SPIE Conference on Visual Communication and Image Processing (SPIE VCIP'06) in 2006, the Best Paper Award at the IEEE International Workshop on Genomic Signal Processing and Statistics in 2013 (GENSIPSâ€™13), the Runner-up Best Paper Award at the IEEE International Conference on Bioinformatics and Biomedicine in 2015 (BIBM'15) and Top algorithm at the 2016 Multinomial Brain Tumor Segmentation Challenge (BRATS). She is also the winner of the UALR Faculty Excellence Award in Research in 2013 and the Rowan Excellence Award in Research in 2017. Her research is funded by the United States National Science Foundation (NSF), United States National Institutes of Health (NIH), New Jersey Department of Transportation (NJ DoT), United States Department of Agriculture (USDA) and the United States Federal Aviation Administration (FAA). She is also interested in entrepreneurial endeavors. In 2017, she Co-founded and is Chief Technology Officer (CTO) of MRIMATH, LLC, a start-up company in medical imaging. In this tutorial we survey research on brain-computer interfaces (BCIs) and BCI applications. BCIs, are interfaces that can process brain activity input, and integrate it with other information that is available from the user or that has been provided by the user. We focus on BCIs that are designed for the 'general population', rather than for clinical applications. Traditional BCI research, guided by clinical applications and focused on patients that have no other means than use a BCI for control and communication, has neglected possible roles for BCI in multimodal interaction with intelligent devices. BCI can be seen as an added modality to the more traditional modalities and can make interpretation of other control and communication modalities more robust. This concerns behavioral commands and communication such as movements, gestures, postures, gaze, and facial expressions, to which we can add a BCI modality. Robustness can also be obtained, just as in the case of physiological information (skin conductivity, heart rate, blood pressure), because we obtain more real-time affective and cognitive information about the user of our systems and that information can support real-time adaptations. We will emphasize and illustrate these roles and look also at some new developments that include entertaining but also serious applications that require competing and collaborating brains. Some observations on recent EU roadmaps for BCI will be provided. Anton Nijholt received his PhD in computer science from the Vrije Universiteit in Amsterdam. He held positions at universities in various countries. In 1989 he was appointed full professor at the University of Twente, the Netherlands. His current research interest is human-computer interaction with a focus on entertainment computing, affect, humor and brain-computer interfacing. He edited various books, most recently on playful interfaces, social collective intelligence, and brain-computer interaction. A recent book on 'Playable Cities' appeared in 2016. An edited Handbook on Brain-Computer Interfaces will appear at the end of 2017. Nijholt acted as program chair and general chair of many large international conferences, including ACE (Advances in Computer Entertainment), ICMI (International Conference on Multimodal Interfaces), ICEC (International Conference on Computer Entertainment), ACII (Affective Computing and Intelligent Interaction), CASA (Computer Animation and Social Agents), INTETAIN (Intelligent Technologies for Interactive Entertainment), FG (Faces & Gestures), and IVA (Intelligent Virtual Agents). In addition he organized and is organizing many workshops and special sessions on language processing, humor in the interface, brain-computer interfaces, and in 2016 animal-computer interaction and human-food interaction. Recent (2015-2016) keynote talks at various conferences have been on humor engineering in smart environments and playable cities and on the future of brain-computer interfaces for non-clinical applications. 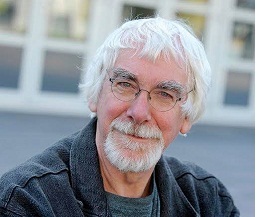 Nijholt is chief editor of the specialty section Human-Media Interaction of the open-access journals Frontiers in Psychology, Frontiers in Digital Humanities, and Frontiers in ICT. He is co-editor of the Springer Book Series on Gaming Media and Social Effects. Since 2016 he is research fellow at the Imagineering Institute, Johor Bahru, Malaysia, where he continues his investigations in brain-computer interfaces, playful interfaces, and playable cities. Abstract: Particle populations are widely used in many industrial applications and fields of science from physics to biology or agronomy. In chemical engineering, in particular, it is generally desired to extract information on geometrical characteristics and on spatial distribution from 2D images of the population of particles involved in the process. For example in pharmaceutics, the size and the shape of crystals of active ingredients are known to have a considerable impact on the final quality of products, such as drugs. Hence, it is of main importance to be able to control in real time the granulometry (size and shape) of the crystals during the process. The first part of this talk will be focused on specific geometrical and morphometrical descriptors giving information on the size, shape and spatial distribution of the particles. They have a compact representation with good mathematical properties and are easy to compute. They are based on integral geometry, shape diagrams and computational geometry. The second part of this talk will show different ways (deterministic and stochastic methods) of image processing, analysis and modeling to geometrically characterize the particles from a sequence of 2-D images acquired by a camera (visualizing the particles during a particular process). The developed methods will be presented by addressing different issues: the perspective projection of the 3-D particle shape onto the image plane, the blurred appearance of unfocused particles, the degree of agglomeration or overlapping, and the random variation in size/shape of the observed particles. The methods are mainly based on image enhancement, restoration, segmentation, tracking, modeling, feature detection, stereology, stochastic geometry, pattern analysis and recognition. The methods will be particularly illustrated on real applications of crystallization processes (for pharmaceutics industry) and multiphase flow processes (for nuclear industry). Some conclusions and prospects will be finally given. Johan Debayle received his M.Sc., Ph.D. and Habilitation degrees in the field of image processing and analysis, in 2002, 2005 and 2012 respectively. 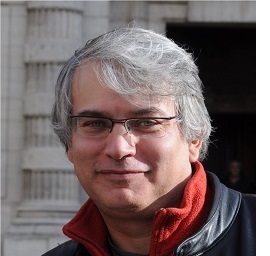 Currently, he is a Full Professor at the Ecole Nationale Supأ©rieure des Mines de Saint-Etienne (ENSM-SE) in France, within the SPIN Center and the LGF Laboratory, UMR CNRS 5307, where he leads the PMDM Department interested in image analysis of granular media. In 2015, he was a Visiting Researcher for 3 months at the ITWM Fraunhofer / University of Kaisersleutern in Germany. In 2017, he was invited as Guest Lecturer at the University Gadjah Mada, Yogyakarta, Indonesia. He was also Invited Professor at the University of Puebla in Mexico in 2018. He is the Head of the Master of Science in Mathematical Imaging and Spatial Pattern Analysis (MISPA) at the ENSM-SE. His research interests include image processing and analysis, pattern recognition and stochastic geometry. He published more than 120 international papers in international journals and conference proceedings and served as Program committee member in several international conferences (IEEE ICIP, MICCAI, ICIARâ€¦). He is Associate Editor for 3 international journals: Pattern Analysis and Applications (Springer), Journal of Electronic Imaging (SPIE) and Image Analysis and Stereology (ISSIA). He is a member of the the International Association for Pattern Recognition (IAPR), International Society for Stereology and Image Analysis (ISSIA) and Senior Member of the Institute of Electrical and Electronics Engineers (IEEE). He is also Officer (Membership Development) of the IEEE France Section. This tutorial takes the participants through a step-by-step overview of the user-centered engineering process for the development of a user-friendly Virtual Reality (VR) and Augmented Reality (AR) setups. These steps are â€کcritical factorsâ€™ for user-friendliness and essential to ensure a VR/AR setup with high quality interactivity. Many VR development projects have failed because end-user requirements have not been sufficiently considered. Following completion of this tutorial, participants will exhibit an enhanced awareness of the user-centered engineering process for VR/AR setups. This is an important skill in the rapidly expanding domain of VR/AR development projects. Participants will be able to express comprehensively and logically how the concepts of the user-centered design and evaluation process fit into the software engineering process and they will have learned how to relate it to their present projects. Jolanda Tromp is a Human-Computer Interaction expert specialized in UX/UI for Virtual Reality R&D with focus on the design and evaluation methodologies for Collaborative Virtual Environments and long-distance collaboration systems, with 20 yearsâ€™ experience as principal Usability investigator. She currently teaches Human-Computer Interaction Masterâ€™s programcourses, Human-Computer Interaction Methods, VR/AR UX/UI, Human Factors, Statistics and Digital Humanities in the Computer Science Departmentat the State University of New York in Oswego, USA. 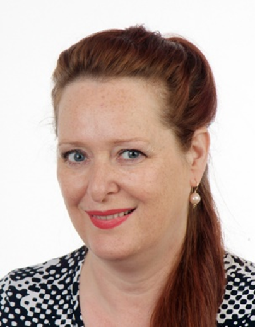 She is highly experienced in virtual teamwork, long-distance and local multi-cultural teamwork and virtual team-management. She holds certificates in design for Gamification (level 3 certification), online marketing Conversion Rate Optimization, InterculturalCommunication and SCRUM. She has a bachelorâ€™s degree in Psychology (with honors), thesis Presence and Immersion (1995) from the University of Amsterdam, a degree in Arts from the Rietveld Academy in Amsterdam, the Netherlands, and a PhD in Systematic Usability design and evaluation for Collaborative Virtual Environments (2001) from the University of Nottingham, United Kingdom. She has worked on four large-scale EU funded VR R&D projects and two with British funding. She authored many conference papers and published scientific articles in IEEE on Computer Graphics and Applications, British HCI Journal on Interfaces, Journal Presence: Telepresence and Virtual Environments, International Journal of Human-Computer Studies, British Telecom Technology Journal, Journal of Intelligent Systems, Dutch Royal Telecommunications and Apple User Experience Review, about the methodology of VR design and evaluation. She initiated and co-organized several international VR Design and Evaluation workshops (1996, 1998, 2000, 2003, 2015, 2018). She is author of Code of Good Practice for the Development of VR setups. Her special interests are new technology developments that push the envelope of VR technology, including "serious games", â€œartistic explorationsâ€‌, and â€œsocial innovationâ€‌ for 21st century global challenges. She facilitates and mentors Study Abroad programs at several VR labs in the USA and Europe. She initiated and coordinates the VR First lab at SUNY Oswego, NY, United States of Americas. The reflectarray antennas, being the hybrid of reflector antennas and planar phased arrays, integrate many benefits of both designs. However, the shortfall of reflectarrays is that they have no ability to provide constant path lengths for rays from the feed to the reflectarray plane, which is inherent in the parabolic reflector. Thus the reflectarray has a difficulty in supplying necessary compensation phase which is required to convert the spherical wave of the feed into a plane wave over a wide frequency band. To accomplish this function over a limited band, a suitable path length correction mechanism is required. One possible method to accomplish this compensation is through the phase shift property that can be generated using the elements of the reflectarray. This approach has been used in narrow-band reflectarrays, where the variable size, rotation angle, length of a stub attached to the element, or true time delay are used to accomplish the phase shift function. To avoid the reflectarray phase errors, which lead to the reduction of its gain, the chosen phasing mechanism has to offer at least 360â—¦ phase range at a any frequency in the range of operation. It should be noted that the narrow-band design avoids the question of how the generated phase shift should behave as a function of frequency. Because most of the presented reflectarray designs are narrowband in operation, the answer to this question has been missing, or have not been treated adequately, in the reflectarray literature. This tutorial discusses the state of the art in reflectarrays, and various important issues related to the reflectarray design such as the phase shift requirement for increased bandwidth, multi-resonant elements, fractal design, dual-band design. The potentials of using the reflectarrays across a very large range of frequencies ranging from UHF to terahertz frequencies is also discussed. Prof Khalil Sayidmarie received the B.Sc. degree in Electronic & Communication Engineering from Mosul University, Iraq, in 1976, and the Ph.D. Degree from Sheffield University, U.K. in 1981. Then he joined the College of Engineering at Mosul University in 1983 and was promoted to full Professor in 1992. He worked as head of the Electrical Engineering Department/ University of Mosul for 9 years. He was the Manager of the Engineering Consulting Bureau / University of Mosul for 5 years. He was the acting dean of the College of Electronic Engineering at Mosul University 20022003. 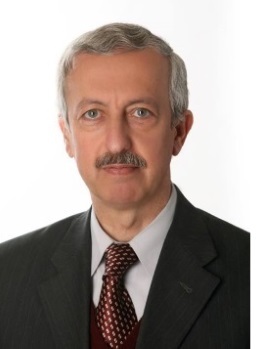 Sayidmarie worked as Prof. of communication engineering at the College of Engineering, University of Amman / Jordan from Oct 2006 to Sept 2009, where he was dean of the Faculty of Engineering for the academic year 2008-2009. Sayidmarie has been Prof. of communication engineering at the College of Electronic Engineering/ Ninevah University since 2002. He was the recipient of a 6-month research scholarship from the Australian Endeavour organization in 2007 and a 4-month Endeavour Executive Fellowship in 2018, both spent at the school of ITEE/ University of Queensland/ Australia. He was a visiting professor for one month in 2013 to Bradford University. He has received the Science Distinction Medal from the Iraqi Ministry of Higher Education in 2013, and many other prizes. 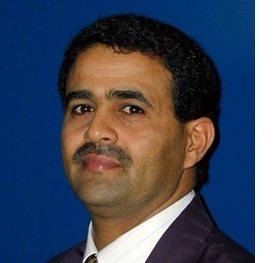 Sayidmarie research interests cover antennas, propagation, and microwaves, where he has published more than 119 papers in refereed journals and conferences. He has supervised 38 Ph.D. and M.Sc. theses. successfully to support the strategic business plans. The cyber security play important role to ensure that the ICT components or infrastructures execute well along the organizationâ€™s business successful. This paper will present a study of security management models to guideline the security maintenance on existing cyber infrastructures. In order to perform security model for the currently existing cyber infrastructures, combination of the some security workforces and security process will extracting the security maintenance in cyber infrastructures. In the assessment, the focused on the cyber security maintenance within security models in the cyber infrastructure and presented a way for the theoretical and practical analysis based on the selected security management models. Then, the proposed model does evaluation for the analysis which can be used to obtain insights into the configuration and to specify desired and undesired configurations. The implemented cyber security maintenance within security management model in a prototype and evaluated it for practical and theoretical scenarios. Furthermore, a framework model is presented which allows the evaluation of configuration changes in the agile and dynamic cyber infrastructure environments with regard to properties like vulnerabilities or expected availability. In case of a security perspective, this evaluation can be used to monitor the security levels of the configuration over its lifetime and to indicate degradations. 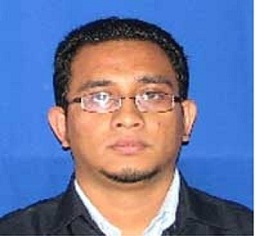 Firkhan Ali Bin Hamid Ali is a lecturer in ICT at Department of Web Technology, Faculty of Computer Science and Information Technology, Universiti Tun Hussein Onn Malaysia. He has published widely in the areas of Computer Networking, Information Security and Information Technology. He has researched, consulted and taught in the area of ICT since in 1999. He has been appointed as a head of Judges Panel in Malaysian-ASEAN Myskills Competition for 2010 in field of IT PC Network. He has been member of Malaysia Industry Expert in IT02-00, ICT with registration number J083 by Department of Skills Development, Ministry of Human Resources for 2009 - 2011. He had pursued some professional certification which consist of EC-Council Network Security Administrator, Microsoftآ® Certified Technology Specialist ï´¾MCTS) and ITIL IT Infrastructure. He also had been appointed as a member of an Advisory Board for World Academy of Research in Science & Engineering (WARSE) committee, editor in chief of International Journal of Information Technology Infrastructure (IJITI) and member of Internet Society Malaysia Chapter ISOC. It is known that case study analysis is an acceptable and common approach in Astronomy, Space Science and Astrophysics research. The research which is based on case studies requires a detailed description of specific events using data from different sources and by taking into consideration various parameters in order to describe accurately the physical processes of a given event. In the meanwhile, gathering data for the above described approach is a time-consuming procedure which also demands a great amount of resources. Therefore, NASA has developed a web-based platform that offers plenty of multiset data that can be combined for advancing the research in various space-oriented problems. There is also available a huge set of APIs (Application Programming Interface) for implementing fast and reliable software solutions. Under this framework, the proposed study concerns a combination of several data sets for estimating possible correlation or interaction between different parameters which also can be considered as a criterion base in an n-dimensional vector space for assessment and better understanding of a given event. Consequently, this tutorial aims to present a case study of possible combinations of datasets which are provided by NASAâ€™s Open Data platform in order to explore and understand deeper the observable universe. 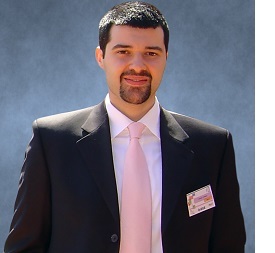 Christos Liambas is a Professor of Optimization and Image Processing Algorithms. He holds a BSc in Mathematics (2005) from the Aristotle University of Thessaloniki and a PhD (2009) from the Engineering School of the Aristotle University, where he is also a postdoctoral researcher (2015). His primary research areas are Algorithms, Optimization, Signal Processing and Robotics where several articles have been published. The originality and technical expertise of his scientific work is reflected through international awards (SETIT-IEEE-ISECS and SIAM/SIMAI) received in 2008 and 2009. His research has been funded by the Greek Ministry of Education as well as by the European Commission, where recently (2018) he has been certified as an Expert at the European Research Programs in the fields of Computer Science, Mathematics and Defense. Moreover, Prof. Liambas has settled an international scientific recognition as an invited Professor in the Ecole Nationale Supأ©rieure des Tأ©lأ©communications de Bretagne (French Engineering Academy), invited Professor in the University of Sfax (Tunisia), invited postdoctoral researcher in the University of Chicago (USA), invited member of the Mathematical Association of America (USA) and invited member of the IEEE Communications Society (USA). Finally, he is a member in many scientific committees and organizations. 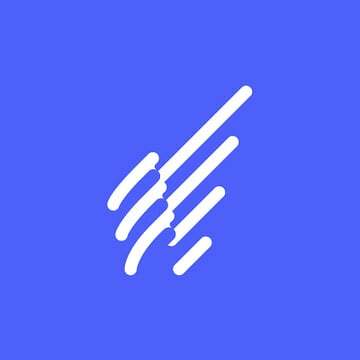 To ensure equal access to every one to the digital world, it is necessary to take into account special needs of people with disabilities in the design process of computer interfaces as well as in the publication of digital information. In this lecture we will investigate the notion of handicap, and the evolution towards the "social mode"' of disability, which is now widely accepted by international development actors worldwide. In this model the person is considered as a citizen having political and civil rights issue rather than a individual having problems due to medical conditions. Therefore the handicap is created by an inaccessible environment rather than created by a deficiency. Then we will consider the various families of assistive technologies, or technologies helping people, with a strong focus on ICT based technologies, and define the conditions that are needed for them to function, which is the principle of accessibility. Finally, after defining the different levels of digital accessibility we will explore the ways to achieve digital accessibility in practice, at the scale of a large organisation like a university, and propose the notion of culture of accessibility, as a way to involve each actor of the digital environment in the process of making the digital environment fully accessible to every one. Professor in Computer Sciences at University Paris 8-Vincennes-Saint-Denis, Dominique Archambault is in charge of the THIM laboratory (Technologies, Disabilities, Interactions, Multimodalities) where he is conducting researches on non-visual human-computer interaction and accessibility to complex documents. The domains of application of his research works are multimodal access to mathematical expressions, allowing collaborative works between sighted and non sighted persons and accessibility to multimedia games. He is teaching Computer Programming and Assistive Technologies in the Master Technologies and Disabilities of University Paris 8, of which he is the Director (http://master-handi.fr). He is also delegate for questions about disabilities (Chargأ© de Mission Handicap) at University Paris 8. Since 2011 he is the General secretary of IFRATH (http://ifrath.fr), an Institute which regroups French research teams working on Assistive Technologies. And since 2013 member of the board of AAATE (Association for the Advancement of Assistive Technologies in Europe â€“http://aaate.net), a European wide association regrouping research teams, companies and public bodies. He is Associate Editor of the Scientific Journal Technology and Disability since September 2015. He is also the Chair of the Scientific Board of the ICCHP Summer University for visually impaired people in the fields of Mathematics, Statistics and Sciences. Position: Professor of Artificial Intelligence, Life Science and ophthalmological optics. Degrees: Received a diploma in Electronics-Physics and the degree of Doctor أ¨s Sciences (PhD) in 1986 and 1991, respectively. His thesis work was on Knowledge-Based optical system-design and Artificial Intelligence. 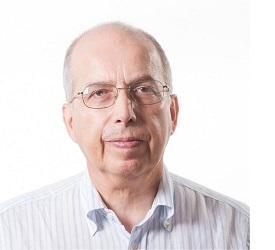 Patents & Publications: He is the author and co-author of many patents, book, chapters in books, technical reports and publications in the field of optical system for medical and industrial applica-tions, Knowledge-Based System, Robotics and Artificial Intelligence. 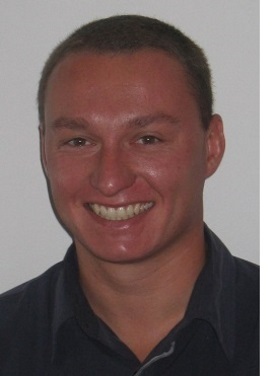 Current researches: His current research interests include Knowledge-Based Systems, Bioinfor-matics, Artificial Intelligence and flying objects, Thesis supervised: More than 110 thesis in the fields of AI, knowledge-based system, Bio-informatics, autonomously flying objects and real time robotic. This tutorial Presents an analytical study of the milestones developments determining the next generation technologies, from the Academic as well as from the Industrial points of view. Subsequently, the topics for future researches which are still unsolved (staus Nov 2018) are discussed .The performance development of the Super Computers (High Performance Commputer HPC) doubled up more than four times within the last four years, from 43 PFLOP/s in 2015, up to amazing 144 Pflops/s inNov.2018. This progress is considered as the impuls for the technology developments to be achieved in our day-to-day life. The Information Communication Industry, as a representive example of Next Generation Technologies, provided a unique scientific and technological progress within the last few years (2015-2018) which in turn has strong impact to the economy landscape. Some of the remarkable progress areas are: Cloud Computing, Future Internet, Power Grids, LTE and 4G deployment and preparing for the 5G. Thou this a quantum leap progress, there are number of drawbacks, signalizing the fact that there are still lot to do in the research and development within this sector e.g. Optimizing the Inter Processor Communication, developing a homogenious Vertical as well as Horizontal Hand Over for wireless communications. As a further representative example of the still unsolved technological problems, though the impressive progress within Image Processing, Sensor and Camera System, Security is still considered as the least advanced sector. In this aspect, the topic â€œSecurity Dilemmaâ€‌ in computer and communications as well as physical security will be addressed. Finally, a few corresponding EU H2020 projects will be presented, openning the cooperation chances with the European Academia and Industry. The concept of Smart City is emerging in a vast number of cities characterized by several aspects such as, smart energy, smart governance, smart people, smart mobility, etc. In order to reach those objectives, information and communication techniques must be the heart of those smart cities based on four components, called pillars, sensors and city-wide Internet of objects; big data and data mining; deep learning; and knowledge engineering. Starting from several definitions of the concept of smart city, the goal of this paper will be to describe how those pillars can be combined for obtaining more efficient urban planning and city management.